Ascend Amphitheater to Host Free Nightly Concerts on the Cracker Barrel Country Roads Stage! 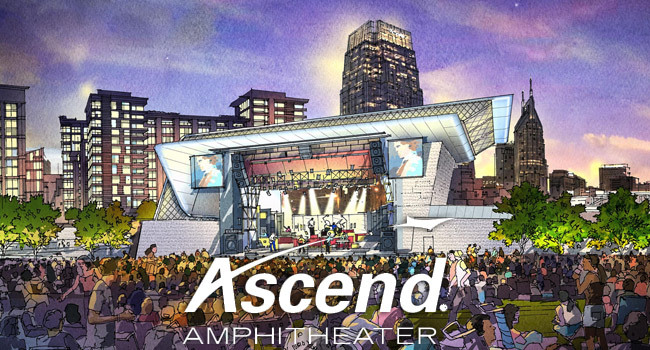 Ascend Amphitheater will host the Cracker Barrel Country Roads Stage during the 2017 CMA Music Festival. This newly added stage will feature nightly concerts from 7 PM - 10:30 PM on June 8-11. These shows will be free and open to the public! Doors will open at 6 PM nightly. The lineup will be released later this month, and is expected to include up and coming as well as established country music artists! A fan photo line is expected to be running at this location as well! CMA Fest Nash Pass holders will receive a VIP seating voucher that allows entry to the venue starting at 5 PM through a separate VIP entrance located next to the main box office. Seating is first come, first served. Nash Pass purchasers also receive 4-day admission to Fan Fair X inside Music City Center, and self-guided tours of the Ryman Auditorium and the Country Music Hall of Fame and Museum. You can purchase the Nash Pass here. VIP Early Entry with Nash Pass.